You've surely noticed the increasing number of Uber taxis around our towns and cities. But, as the BBC is inclined to say, other taxi services are available. One of them, Hailo, is much smaller than Uber and is trying desperately to win market share, particularly in London. 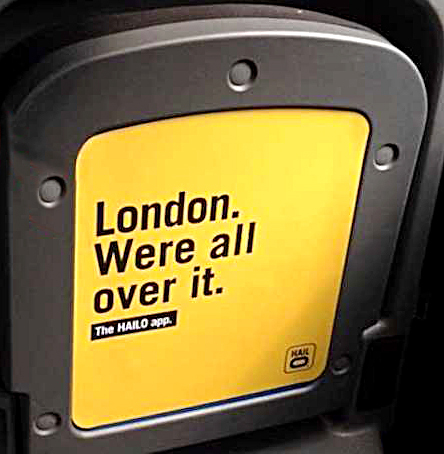 Unfortunately, Hailo's campaign slogan 'London. We're all over it', due to one of those pesky apostrophe catastrophes, is already showing signs of defeatism.